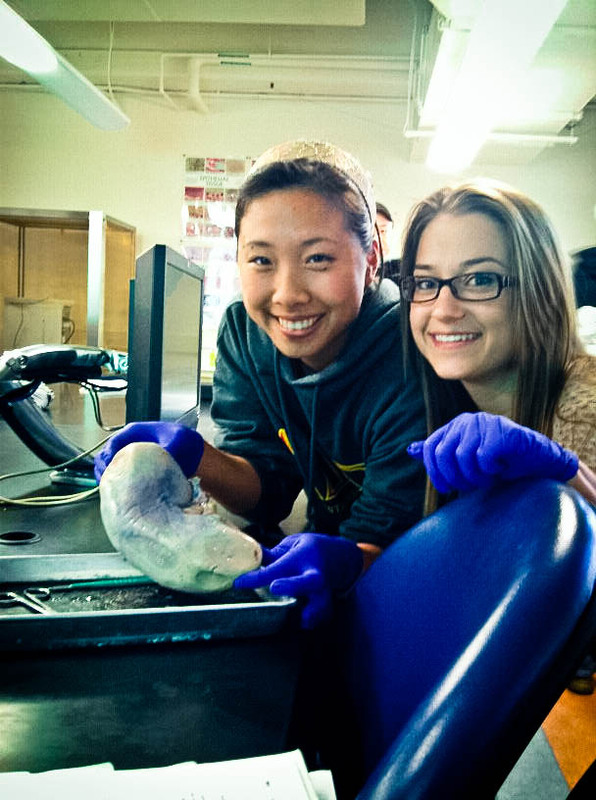 One of our labs for physiology is a kidney dissection. 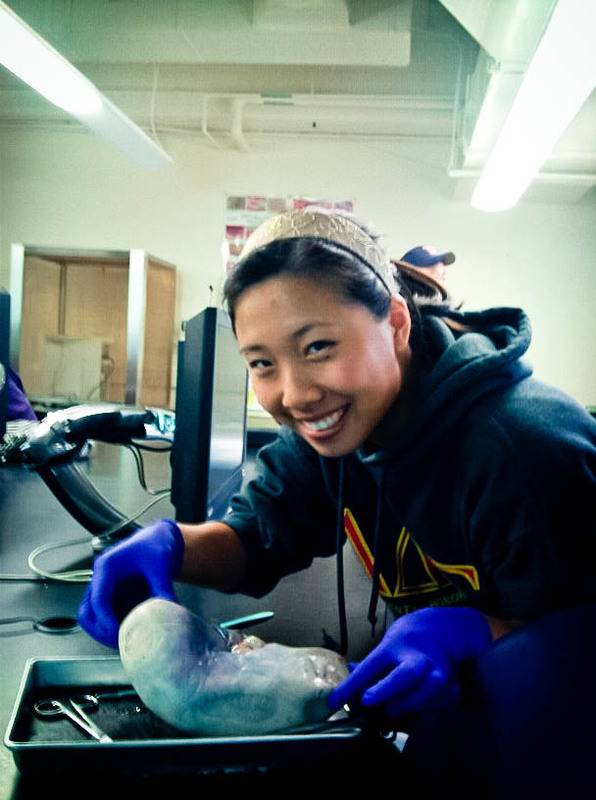 The dissection part is actually really easy - you just slice the kidney in half and voila! 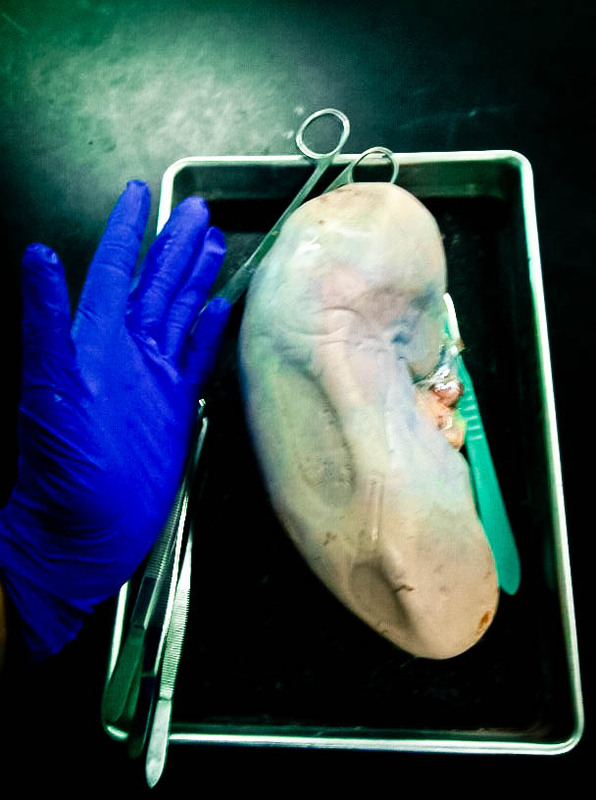 The part that is hard to digest is the sheer size of the kidney itself. The kidney is bigger than my hand. Actually, I think the kidney is bigger than my face. I'm not entirely sure which animal this kidney belonged to. My lab partner said that it might have belonged to a cow. I'm thinking that it may have belonged to an elephant. Or a whale. Perhaps T-Rex? 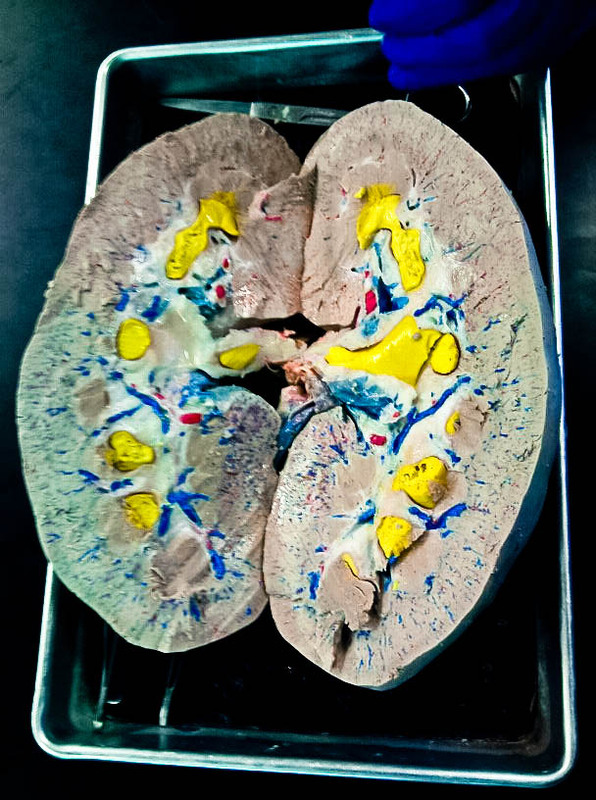 Nevertheless, we dissected the kidney and observed all its glory inside. See the cortex? Medulla? Renal pelvis? Pyramids? Renal arteries and veins (thanks for catching my mistake)?